Artist Sonia Boué has posted a new video exploring the challenges neurodiverse artists face when attempting to access the Arts Council England application process for grants and awards. Neurodivergent means having a brain that functions in ways that diverge significantly from the dominant societal standards of ‘normal’. Examples include autistism, dyslexia and epilepsy as well as the effects of experiential events such as trauma. 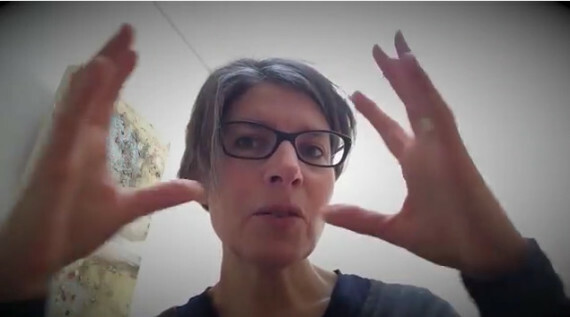 In the video, Boué discusses and demonstrates why applying through the new ACE funding portal, Grantium – introduced at the end of January – is so challenging for artists with neurodivergent brains. The artist has also posted a second video created whilst “in the throes” of making an application, The music of my body: a humorous take on dealing with Arts Council Funding stress. While Boué says her video speaks for itself on the question of the inaccessibility of the application process, in a recent post to her a-n blog Barcelona in a Bag, she explained her struggles with the Grantium funding portal. “I am a neurodivergent artist, dyscalculic and dyslexic. This means that I struggle to decode new language, formats and systems, and even familiar information takes extra processing time. “Some information I will never decode or access, not even with support, but I’ve come to the realisation that the most useful way to understand my difficulties is in terms of cognitive load. She goes on to explain that “the sheer weight of information that must be gleaned, processed and organised” for an ACE application “really does feel like my Everest, and it has taken extraordinary motivation to persist”. Asked to comment on Boué’s video, a spokesperson at Arts Council England said: “We are committed to being open and accessible, and want to ensure that all applicants are able to make an application. “If an applicant experiences or anticipates any barriers within the application process, or requires help in accessing services and information, there are a number of ways in which we are able to support them.